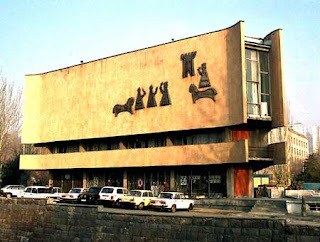 The famous Chess House of Yerevan (1970.Architect Zh. 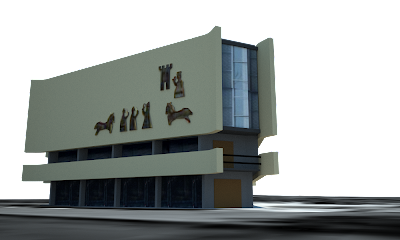 Meshcheryakova) is one of the best chess centers in the world according to many visitors. In this building many great international events have been regularly held. And the Tigran Petrosian Memorial is organized here, too.In the center of Yerevan, in the Ring Park, the Chess House is being founded. Tigran Petrosian examines the mock-up of the wonderful building and puts the first stone in the foundation. After the untimely death of the champion the Chess House was named after Tigran Petrosian.